Shipping: $2.99 for the first item and $1.99 for each additional item. US only. Estimated to ship by Saturday, Aug 5. This trio of stackable containers is the perfect solution for between-meal snacks. 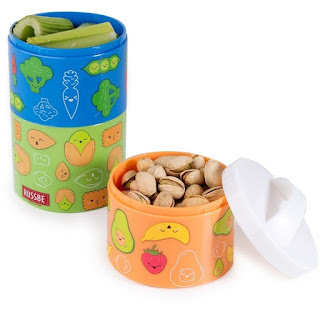 This dishwasher-safe mini bento is ideal for toting in diaper bags, lunch bags, backpacks, or placing in cup holders for a quick and easy snack on-the-go. 3 Compartments: 6 oz./ 6 oz. / 9 oz.